People often ask us "what makes a good design?" - and it's unfortunately not a question that can be answered in a straightforward way. 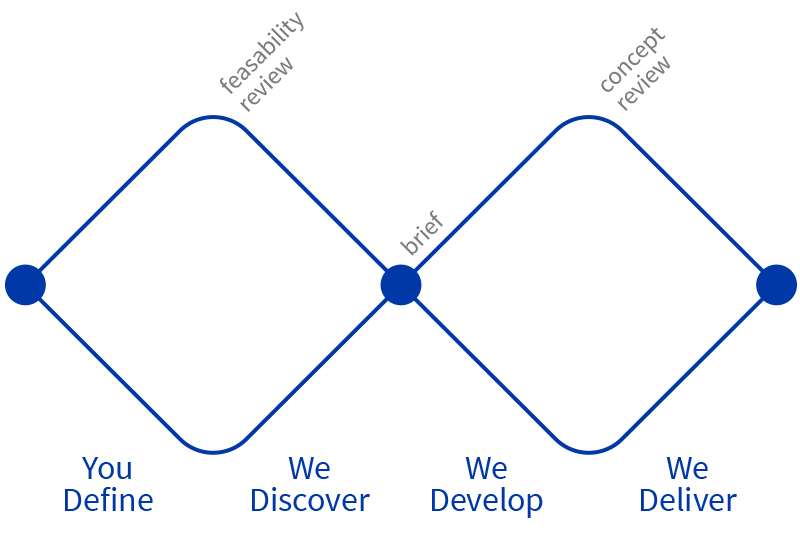 Openmind has developed a unique process that allows us to work more effectively with our clients. We put a lot of emphasis of communication with our clients and listen carefully, making sure we understand exactly what they want to achieve. This process is central to the originality and creative flair of our designs and ensures that we deliver dynamic and refreshing creative solutions that exceed your goals. The start of a project is marked by us getting to know you, your organisation and what you want to achieve. It is important for us to understand your project and become familiar with how you work. We will usually provide you with a creative brief questionnaire for feedback. This serves as an outline the creative elements of the project and your requirements. A) Why Are We Doing This? – What problems do we need to solve and what opportunities do we need to capture? B) What Do We Want To Achieve? – How can we determine when we have achieved these goals? C) What Problems Might We Encounter? – What possible obstacles might we face whilst working towards these goals? At this stage, we begin an intensive period of creative research and analysis. We gain insight into unique aspects such as your clients, your competitors, your corporate identity and your opportunities. From these insights we develop a proposal in response to our understanding of the project that highlights as aspects such as our objectives, the project feasibility, a quotation and methodology. Openmind keeps you informed throughout the project. This helps avoid any potential problems that could otherwise be avoided. If you are happy with our proposal we can begin to develop the initial creative concepts. This is where we develop a range of different designs for your project. We react creatively to your requirements and craft preliminary design ideas which are then reviewed, tested and shortlisted. We experiment with the different variations in your design such as colours, layouts, fonts and typography. Once we have created a beautiful variety of concepts we then present these to you. It will usually be clear from your reaction which fits the bill! 4 - We Deliver You Results! Following your approval of the finished design, we then provide you with the completed artwork. By paying close attention to your requirements throughout the creative process, we are able to effectively translate your vision into an end product that is both refreshingly creative and functional. Were you satisfied with how the project went? Are there other opportunities to pursue? Reviewing projects in this way enables us to establish strong, long-lasting partnerships with our clients. It also guarantees that we continue to provide the best and most relevant design solutions. Whether the task is logo design, web development or video production - it is our attention to both you and the project details that make us the most professional design consultancy in Oman.